Welcome to Jack’s Service Center! 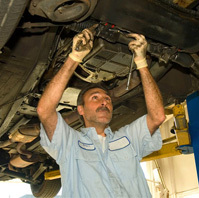 For quality auto repair in Thomasville, GA, you can count on Jack’s Service Center. In business for over 30 years, we have the knowledge, experience, and equipment to handle all types of auto repair needs. While we specialize in front-end alignments, brakes, and tires, we can handle virtually any other auto repairs. Even if you’re not sure why your vehicle isn’t running right, bring it to us and we will figure out the problem, let you know what is needed to repair it, and provide you with an honest, fair estimate. We are completely committed to providing you with honest service. Our motto is “Always remember, we appreciate your business.” When you choose us for your auto repair needs, we will go the extra mile to ensure that you know we truly do appreciate your business. Our staff will always treat your vehicle as if it were our own, providing great attention to detail and superior customer service. In fact, our customers love our great customer service and friendly staff. If you are looking for quality, honest auto repair in Thomasville, you have found the right place! Our mission is to provide the Thomasville area with the highest-quality workmanship and best prices for auto repair. 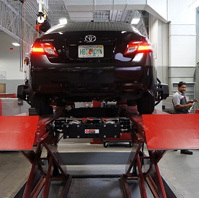 Our highly skilled and experienced technicians can repair or service your vehicle quickly and efficiently. 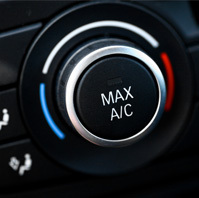 We understand that you do not have time for your vehicle to be in the shop for a long period of time. This is why we provide accurate assessments of how long it will take to repair your vehicle and strive to have you back on the road as quickly as possible. We are conveniently located next door to Wendy’s and invite you to stop by learn more about our services. Our goal is to be your first choice for auto repair in Thomasville, GA. Welcome to Jack’s Service Center! 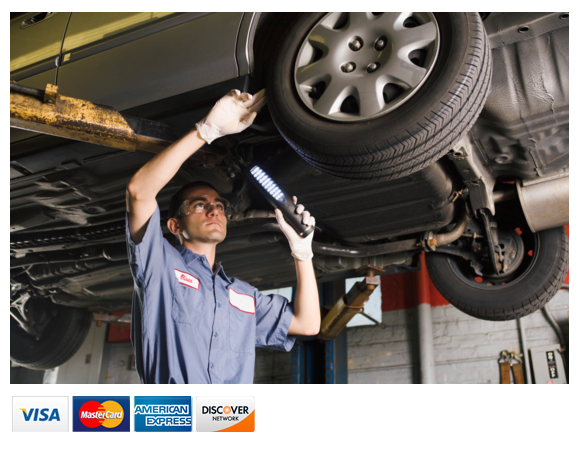 Auto Repair in Thomasville, GA For quality auto repair in Thomasville, GA, you can count on Jack’s Service Center. In business for over 30 years, we have the knowledge, experience, and equipment to handle all types of auto repair needs. 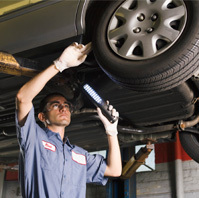 While we specialize in front-end alignments, brakes, and tires, we can handle virtually any other auto repairs. Even if you’re not sure why your vehicle isn’t running right, bring it to us and we will figure out the problem, let you know what is needed to repair it, and provide you with an honest, fair estimate. We are completely committed to providing you with honest service. Copyrights 2018 © Jack’s Service Center | All rights reserved.